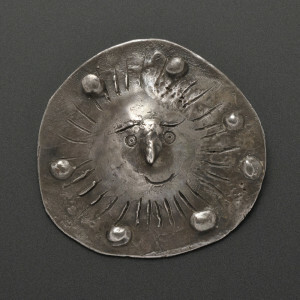 Pablo Picasso Jewelry | Skinner Auction | Skinner Inc. 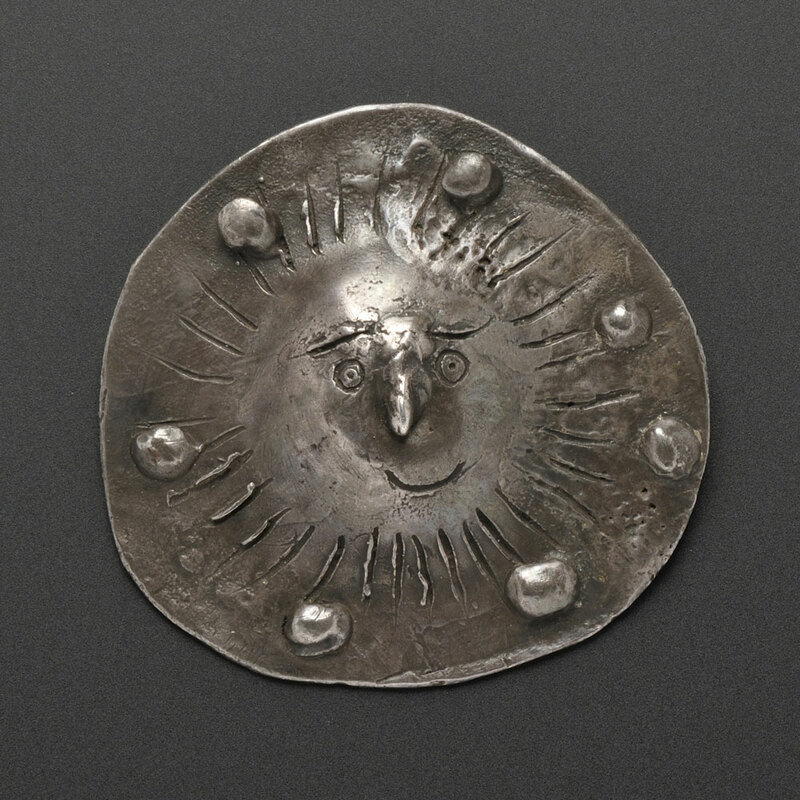 Early in his career, Pablo Picasso made a series of one-of-a-kind jewelry pieces, most likely cast in the south of France with the assistance of his dentist, Dr. Chatagnier. 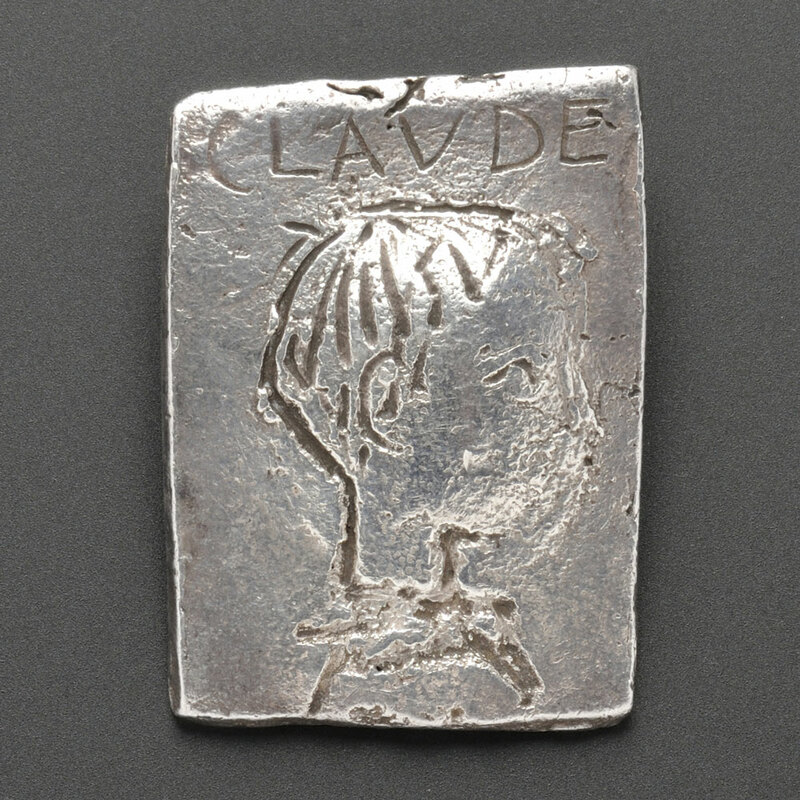 He gave three of these pieces to Françoise Gilot, the mother of two of his children, Claude and Paloma Picasso. Gilot later passed the jewelry on to Carole Mallory, who was engaged to Claude at the time, and the jewelry has been in her possession ever since. We are very pleased to offer these three early, original Picasso works at our next Fine Jewelry auction on Tuesday, March 18, 2014 in Boston. 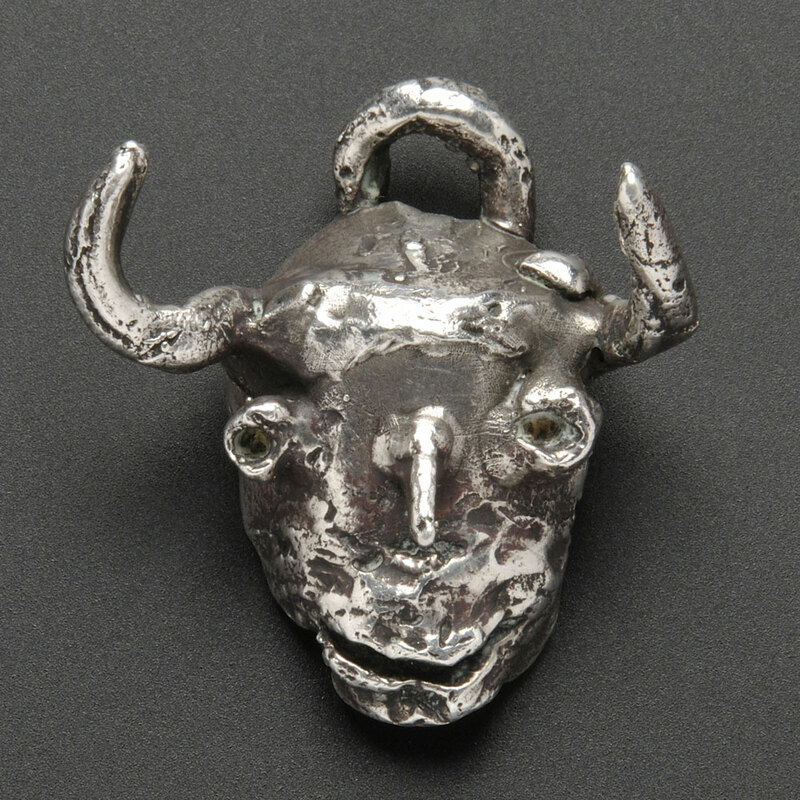 The first piece, and perhaps the most important, is a sculptural “Satyr” pendant. Satyrs, minotaurs, bulls, and bullfighting featured prominently in many of Picasso’s works, and became a very important motif for the artist. 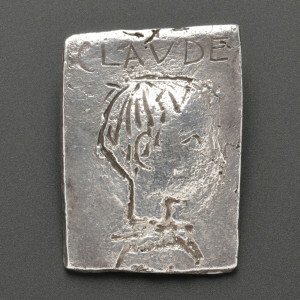 The second is a brooch depicting Picasso’s son Claude as a boy in profile, etched in silver. The third is a round disc representing the sun. In a picture from the 1970s, Carole Mallory can be seen wearing the pendant. Carole Mallory, author of Picasso’s Ghost (A Love Story), will present a lecture at Skinner titled “Uncovering the Mystery of the Picasso Jewels” on Monday, March 17, 2014 at 6PM. The event is free and open to the public. I hope to see you there or at the auction previews March 16th and 17th in Boston. This entry was posted in Blog and tagged art event in Boston, artist jewelry, auction Boston, Carole Mallory, Claude Picasso, Fine Jewelry, Gloria Lieberman, jewelry art, jewelry auction, jewelry event, Pablo Picasso, picasso art, picasso jewelry, satyr, silver, sun by Gloria Lieberman. Bookmark the permalink. Pingback: Rare Picasso Works at Auction for the First Time | Fine Jewelry | Skinner | Skinner Inc.
Pingback: Uncovering the Mystery of the Picasso Jewels | A Lecture by Carole Mallory | Skinner Inc.
Pingback: Rare Picasso Works Steal the Show | Fine Jewelry Auction | Skinner | Skinner Inc.
Pingback: Gem Gossip | My Jewel Box: Garnet & Diamond "Comet" Ring | Skinner Inc.